Laura Fitzgerald graduated in 2007 with a First Class Honours Degree in Fine Art from the National College of Art and Design. Laura’s practice combines elements of drawing, installation, works on paper and video. Ideas which inform her work relate to memory, nostalgia, real and imagined histories, perspective, the minuet and the unseen. 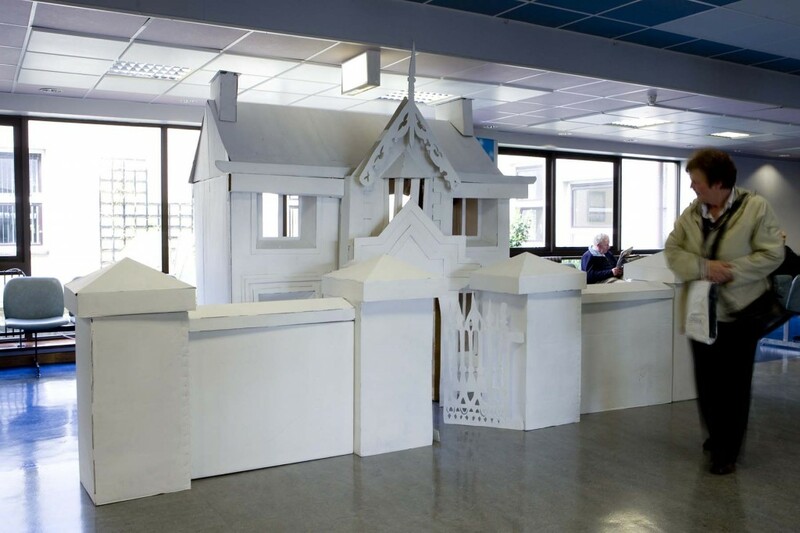 Laura was the first artist to use the studio space in the newly developed WHAT Centre for Arts and Health in the grounds of University Hospital Waterford where she produced a body of work on the theme of memory. She expanded beyond her previous work of dealing with personal memories into a more collective and collaborative approach by inviting staff, patients and visitors to the hospital to share their own memories with her which she drew. The resulting 166 individual drawings of peoples’ memories were featured in Laura’s end-of-residency exhibition Once Upon a Time , which was launched in the WHAT Centre for Arts and Health and University Hospital Waterford in June 2009 by local historian and broadcaster, Julian Walton. Once Upon a Time, which was sponsored by Pfizer Ireland, toured to the Index Gallery, Central Library, Waterford in August 2009.